Drawing from an equally wide range of sources-sermons, polemical texts, theological treatises, hagiographical and devotional works, and histories-the volume demonstrates the emergence of a profoundly negative image of the Jews that established many of the stereotypes of classic Christian anti-Semitism. 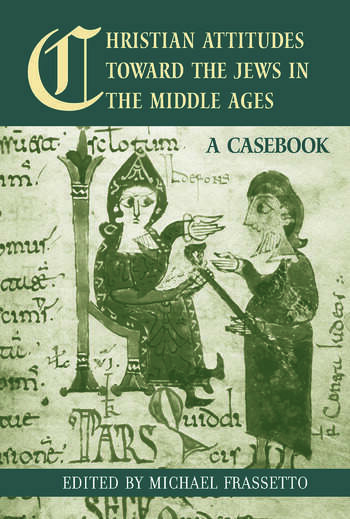 The volume, in particular, argues that the essential turning point in relations between Christians and Jews occurred in the eleventh century, especially the early eleventh century when the first wave of persecutions of the Jews took place. Michael Frassetto is Adjunct Instructor in the Department on History at the University of Delaware and Religion Editor of the Encyclopaedia Britannica. He has published seven books on medieval history and culture, including Medieval Germany: An Encyclopaedia (Garland Publishing, 2001) and Purity and Piety: Essays on Medieval Clerical Celibacy and Religious Reform (Garland Publishing, 1998).